Clean and easy, with a touch of character. The kitchen in this project was completely gutted, relocating all the appliances. 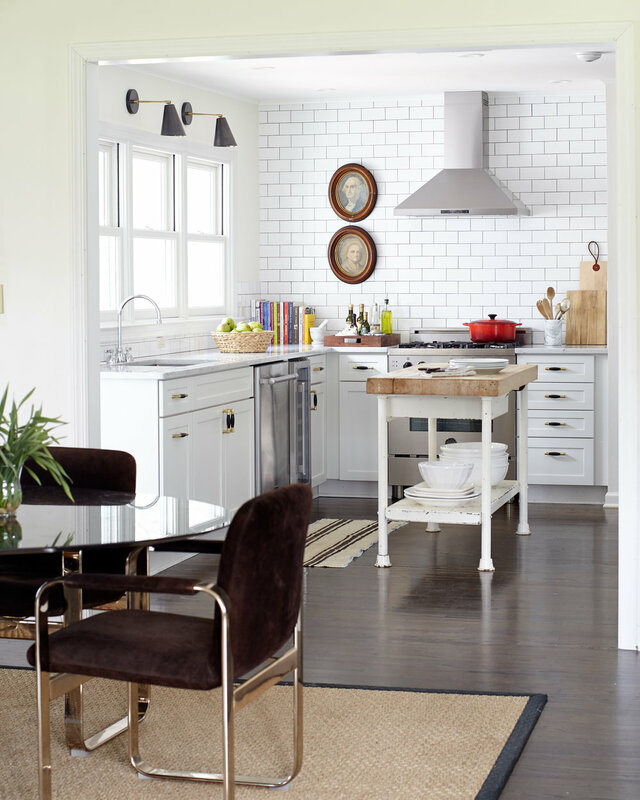 Midcentury lighting juxtaposes the antique butcher block, and the George and Martha portraits add in a little bit of fun.